In our chart we consider most famous League teams from NA region. What team is the best in North American and why? Read in our guide! With the summer season starting, so does the League Championship Series. The North American LCS began with Counter Logic Gaming, Team Liquid and Team SoloMid as the strongest teams. In this article I will explain to you why these teams are the best, providing insight on their players and play-style. Before we start our guide we recommend you to check our prices for elo boost. Even though they are on the second place alongside teams like Cloud9 and Team Impulse, TSM is arguably the strongest team in North America. You will probably think “But C9 beat TSM, why aren’t they the best team in NA?”. My answer to this question is that it’s a little too early to compare the two. C9 beat TSM indeed, but then they inexcusably lost to Team Dignitas which looked very bad last split. As everyone knows, TSM is composed of Dyrus on top lane, Santorin in jungle, Bjergsen mid lane and WildTurtle with LustBoy as marksman and support. Dyrus is one of the oldest competitive players and he is often seen as a weak top laner, but he is actually a very good strategical player. TSM’s strategy is to make Dyrus attract attention to himself while Bjergsen and WildTurtle get big and start winning team fights. His most played champions in the Spring Split were Lulu, Maokai and Rumble. Do you see a pattern here? All these champions are good pushers who do great in team fights. Lulu’s utility allows him to keep the carries alive while dealing damage to the enemy team, Maokai is arguably the best frontline champion of them all because of his sustain and ultimate and Rumble is a high damage champion with the ability to either zone or kill an entire team with his ultimate. Santorin is one of the most important pieces of TSM. He is the player who gets Bjergsen going all the time by pulling off ganks that gives his team an advantage while making himself a pain in the back of the enemy team. Santorin’s most played champions include Rek’Sai, Jarvan IV and Vi. These champions allow him to gank easily, having gap-closers which bring him right next to the target of his choosing. While in early to mid game these champions are great gankers, in the late game Santorin builds them as tanks, durable enough to be in the frontline of his team and become a damage sponge. Bjergsen is the star player of TSM. Since he was brought in NA from Ninjas in Pijamas he became one of the best mid laners in the world. His most played champions are and have always been assassins. In the Spring Split he had 4 games on Ahri, 4 on Zed and 3 on LeBlanc. These champions fit into his play style of being the one to get an advantage and snowball it into a much bigger lead which usually translates into a won game. WildTurtle began his career with TSM as a substitute for Chaox. His solid play made him remain on the roster to this day. He is characterized by his tendency to make risky plays in the late game and usually survive. The champions he has played most in the Spring Split are Sivir, Jinx and Graves. He has had the most success on Sivir, a utility based marksman with a lot of wave clear, but that doesn’t mean that he cannot play the likes of Jinx who is able to deal a lot of damage for afar in a short period of time. His Graves play hasn’t brought any success to TSM yet, but that doesn’t mean it won’t in the future since he is still in the meta. Lustboy is the first successful Korean import. He started his competitive play with the team known as MiG Blaze at the time. His arrival in the squad made it’s impact immediate. Lustboy brings a high level of experience and mechanical skill that has allowed WildTurtle to gain many advantages over the games they have played together. Lustboy’s most successful champions are Janna, Annie and Morgana. These champions tell us that he is either the one to peel for his team or to initiate the fights. Now that we’ve gone over TSM’s players and their picks it’s time for some play style analysis. Team SoloMid is known for the fact that they concentrate their resources on their star player, Bjergsen because he is able to impose such a threat to the enemy team that his team can gain every advantage they need, be it drake, Nashor or tower. The person who helps Bjergsen in achieving his power spikes is Santorin. His early to mid game presence on the mid lane always takes it’s toll, even if TSM doesn’t score a kill, Bjergsen is very likely to get a creep score advantage. Dyrus is the team’s bait. He tends to make enemies believe they can come to his lane to stop him from farming, but most of the time his team is the one gaining advantage. TSM’s bot lane duo is one of the best in the region. Their expertise in 2v2 and 2v1 matchups make them able to withstand lane swaps and come out ahead. In the mid to late game TSM is a team which takes the win textbook style. When ahead they fight only when they want to take an objective. Other times they will either farm, ward or siege. The team which glows with potential is looking very strong at the moment. 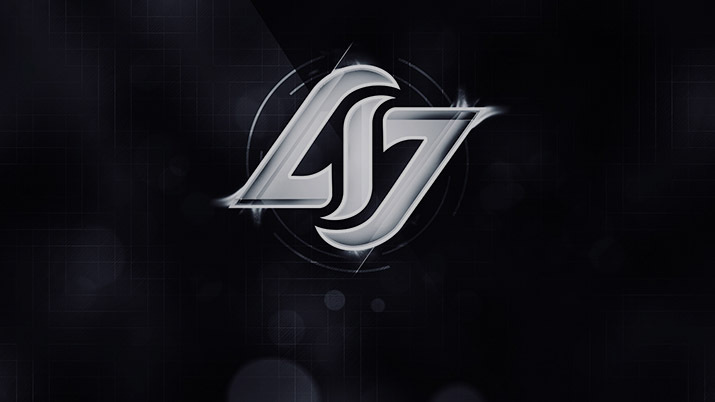 Since the departure of Link and putting Pobelter on the roster, CLG feels like another team. After the first week of LCS they are 2-0 and tied with Team Liquid for the first place. While CLG is looking very strong, there still exists room to evolve. At the moment I feel like they are on par with TSM. CLG’s composed of ZionSpartan in the top lane, Xmithie in the jungle, Pobelter in the mid lane, Doublelift as marksman and Aphromoo as support. ZionSpartan is one of the best two top laners in NA. His solid play on Maokai, Rumble and Sion does him no justice as he is able to play carry champions as well. He is the untapped potential of CLG at the moment. If they can come out with a good enough strategy I’m pretty sure they will be able to take first place and qualify for 2015 World Championship. Xmithie is the jungler who is never afraid to dive the opponent backline in order to secure a kill. He is known for his tendency to play fighter junglers such as Vi, Jarvan IV and Rek’Sai. He is the regning “Best Lee Sin NA” which means there is room for a lot of plays in CLG’s agenda. Pobelter or the Notorious P.O.B. was contracted after Winterfox was relegated and he is now another source of great potential on CLG’s starting roster. While on Winterfox he used to play the likes of LeBlanc, Kassadin and Ahri, but so far, on CLG he has played Azir and Kog’Maw. Doublelift. He was and still is the image of CLG. He is always calling people trash and is the center of attention when his team relies on the “Protect the Doublelift” strategy. The champions Doublelift has found most success are Kalista, Jinx and Sivir. He has played a total of 13 games out of 18 on these 3 champions in the Spring Split. Aphromoo is one of the best supports in the NA LCS. He is best known for his aggressive plays with Thresh, Alistar and Morgana. His quick decision making, strong map awareness, experience and mechanics make him very likely to remain a key factor in CLG’s success. Since Link left CLG, the mid lane became a bit more interesting. Pobelter is a player who can take matches off of every other mid laner in the league and he can bring more versatility to the team. Even though the team is different now from last split, some things still remain. Doublelift and Aphromoo will continue to be arguably the strongest bottom lane duo in North America. CLG has mostly always played the “Protect the Doublelift” strategy which consists in funneling resources to Doublelift and then protecting him in hopes he will be able to dish out enough damage to win the fights. ZionSpartan’s carry potential is very important for CLG’s future. If they will be able to find a strategy to use his skill on champions like Riven, Irelia and Jax they will have a lot to win. 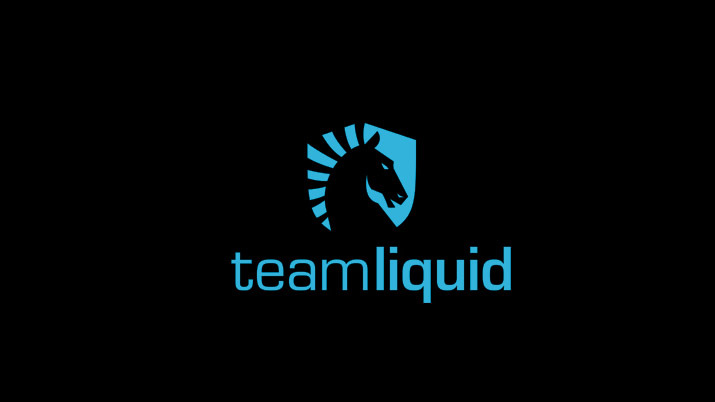 Team Liquid debuted in the NA LCS in the 2015 Spring Split after Team Curse merged with Team Liquid. While they didn’t have a very good start, they ended the regular split 9-9, but cranked it up to 3rd place in playoffs. Their team is made of Quas in the top lane, IWDominate in the jungle, FeniX as mid, Piglet as marksman and Xpecial as support. Quas is arguably the best top laner in NA. His strong solo queue mechanics made him known throughout the challenger scene and he was picked up by Team Curse in 2013. He was a big part of Team Liquid’s 3rd place finish in the 2015 NA LCS Spring Playoffs and broke the 4th place curse. In the playoffs Quas had found success by playing Sion, Hecarim and Lulu and started the Summer Split by playing Rumble and Gnar. This shows us that he is a very versatile player who can do more than play tanks or utility based champions. His play style meshes very well with Team Liquid’s players. They need a solid player who can keep them in the game if they have a bad start. IWDominate rose in the second season by playing for Team Dignitas. Sadly, after the second season he had been banned from competitive play for a year because of his behavior. After he had reformed, he was picked up by Team Curse in 2013 as their jungler. After rebranding as Team Liquid, IWD had remained on the starting roster as their jungler and primary shot caller. IWDominate is known for his Rek’Sai, Nunu, Gragas and Sejuani. These junglers are very team focused, all of them being great at pulling off ganks, securing objectives and winning team fights. Fenix was recruited as Team Curse’s mid laner in the 2015 Spring preseason. He is another Korean import who is doing pretty well in the NA LCS. In the Spring Playoffs he had found success on Corki, playing him 3 times and winning each time. In the regular split Fenix had found success on the likes of Ahri, Lissandra and Zed. His picks allow us to think that Quas isn’t the only versatile player on TL. Fenix is capable of playing Assassins as well as mid lane marksmen. Piglet is a relatively new player in the NA LCS. He is one of the most famous marksman in the world, winning the Season 3 World Championship alongside SKTelecom T1 K. Even though Piglet has had a rough start in the NA LCS, his mechanical skill and discipline helped Team Liquid secure the 3rd spot in playoffs and brought them closer to reaching enough points to go to Season 2015’s World Championship. While Piglet was originally known for his great Vayne play he has added many marksmen to his champion pool, Lucian and Sivir were two of the champions he had found most success in the Playoffs. Xpecial is one of the best support players in the NA LCS. He rose to fame with Team SoloMid before joining Team Curse in 2014. Team Liquid needs Xpecial and Piglet at full efficiency in order to continue taking games off the rest of the league. His most played champions in the Spring Split Playoffs were Janna, Alistar and Nautilus, while in the regular split he had played Annie and Braum as well. His champion choices show us that he likes to be the initiator of fights but he also likes to disengage. Over the years he had shown us his true value as a support. TSM rose to success and TL is successful but still on the rise. Team Liquid’s strategy seems to revolve around making as little mistakes as possible in the laning phase because if the two Koreans get ahead, they will most likely end up winning. In case they are outplayed in the laning phase they have Quas, the mountain on the top lane who doesn’t flinch when his team is behind. For Team Liquid, objectives are the most important thing in the game. We will rarely see them take fights they cannot win or when there is no objective around. In conclusion, the best teams in North America all revolve around objectives and strong laning phases. Each team has one or two players with a great potential to carry. Why you shouldn’t pay attention to kill steal in LoL? 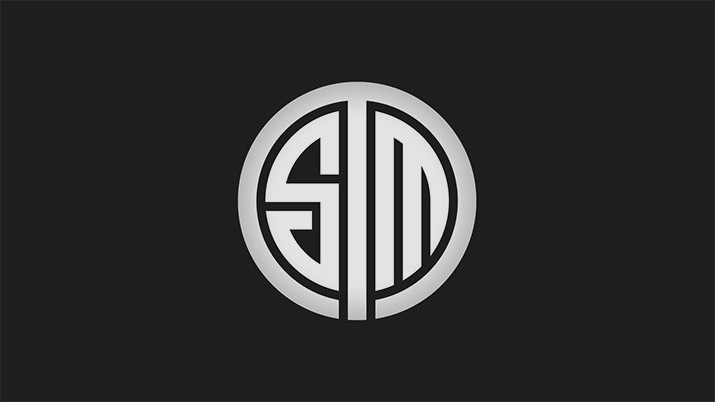 TSM TSM TSM TSM TSM TSM TSM! Where is HOT the father of dragons SHOT GG in this list? Why i can’t see this god here? This guide is absolutely wrong! And the undisputed world top 1 TSM “the lol god” Reginald? I think having him in TSM is enough to put TSM in best teams NA list! If talking serious, i totally agree with your rating, however everything changes so fast on the pro scene now. I love to follow North American scene but when it comes to season finals it makes me feel sad because i already know who will win or if say more precisely – who won’t! Yeah, North American region shows really impressive matches. Especially I love the Team Liquid team, they participate perfectly in all moba games, from Dota 2 to League, and I just love to watch at their mid lane players. So high CS in almost every game, I can not even dream of the same results. I like how Team Solo Mid is acts in area around the game like in media, having own popular website, famous players and streamers. But overall i think NA is the weakest region at the moment. I meant among the biggest ones – America, Europe and Asia (Korea).